Painting your home’s stucco exterior is a big undertaking that not only affects the look of your home, but your wallet, as well. 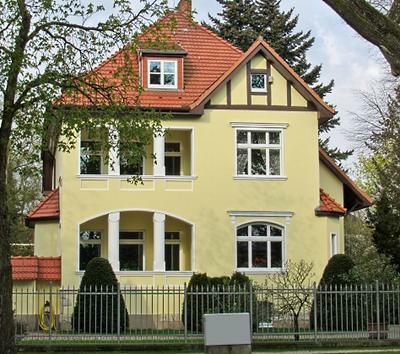 While many stucco homes require specialized painting techniques to ensure quality coverage, there are areas of the home’s exterior that require even more detail. The accent trim around the windows is one area that can really make your home stand out if painted correctly. Use the ideas below to help you get started. Knowing where to install trim on your stucco exterior is one of the first things to consider. Around the windows is the natural choice, as it provides great accent to the home’s look. Trim can also be installed around the garage doors because it offers the same type of definition to the home’s exterior. The amount of detail in the trim depends on how ornate you want your home’s exterior to be. Small accents in the form of keystones or blocked corners can be visual focal points that add character to the frame of the house. Where you add the trim will help to determine the best way to paint it. Stucco is typically painted a light, neutral color, but with a coordinating color on the trim, you can make the house stand out and add a great deal of curb appeal. By painting the window and garage door trim a coordinating color, the eye will be instantly drawn to those areas. It is important that those areas be well maintained and tended. The coordinating color can be a lighter shade than the stucco or a couple of shades darker. To determine the hue, decide whether you want the exterior walls of the home to be accented or the trim itself. The coordinating color will make the house pop without being too bold and brash. If the same hues are not what you are after, choose a contrasting color that adds a pop of bright color. For example, if the stucco is painted a light tan, black can be used as a strong contrasting color. Not only will it add depth to the home’s exterior, but it will also help the exterior coordinate with some of the other exterior features like the porch light, shrubbery, and outdoor wall art. Be wary of using extremely bold and bright colors, as they can actually detract from the curb appeal of the home. It is important to use a contrasting color that is authentic as a home exterior color for the style and age of your house. Accenting the exterior with trim in a coordinating or contrasting color is the easiest way to make your home stand out. Not only does it add visual interest to the house, but it also improves your home’s curb appeal. Be sure to keep the trim in good condition and repaint it as needed or it will have the opposite effect from what you intended. Combined with a good stucco paint job, trim around the windows and garage doors can be the perfect way to accent your home. Any chance anyone knows what stucco color is on the house and/or brand of paint?